Matt S (MS): What inspired the team to work on a Hyperdimension Neptunia game? Mario R (MR): Well to be honest, it was a bit of fortunate timing and good luck. After we formed Artisan in 2016, we were lucky enough to meet some of the team from Idea Factory at GDC 2016. They were familiar with some of our previous work at other companies and they encouraged us to pitch a game to the management team of Idea Factory in Tokyo. We prepared a pitch for them with an overview of our company and the types of games we wanted to develop. They seemed impressed with the presentation and our understanding of their games. At that meeting, it was the CEO of Compile Heart who asked if we would ever consider pitching a new Neptunia title. We were honoured that they would consider letting us develop a new game in the series. After that we prepared a pitch for what was internally titled 2D Neptunia and they immediately approved it. That was how we began work on the series. MS: What do you think Artisan Studios can add to the Hyperdimension franchise? MR: First and foremost, we hope that we can deliver a title worthy of the series and its fanbase. 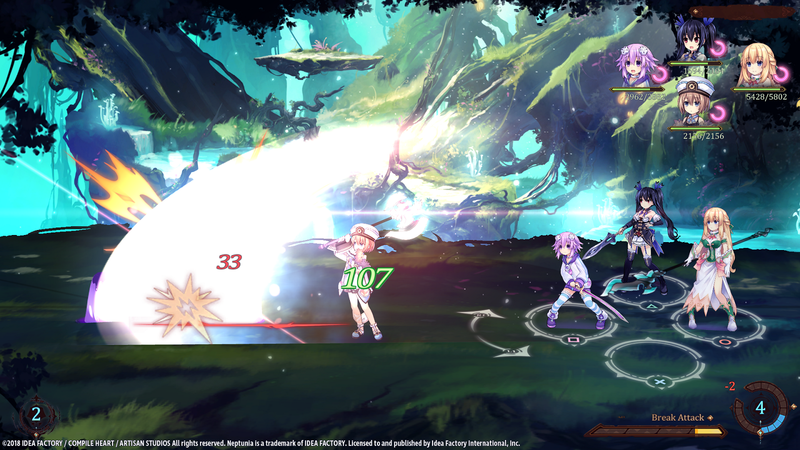 We want to try to inject some new design ideas to change what a Neptunia game could be. This is what we included in our initial pitch to Idea Factory. We felt that moving the franchise from 3D to 2D and creating all new dungeons, monsters and things to do, as well as changing the setting (to a more fantasy themed world) would represent a pretty big shift for the series. 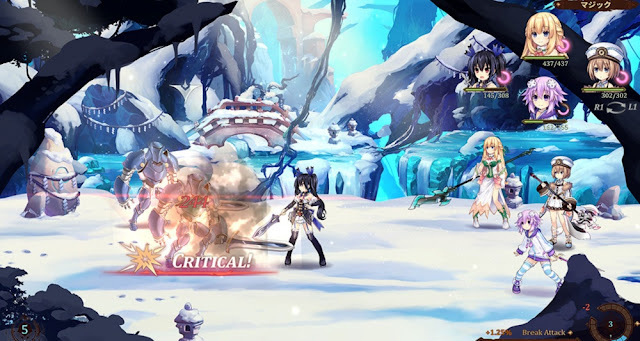 We knew it was important to bring some fresh elements if we wanted to impress the Neptunia fans as this would be the 15th Neptunia game released in the series. MS: Can you give me an idea of how you approached the character development for the game? How did the team (and especially your writers) work to properly capture the characters of Nep Nep and co in the new game? MR: I think it’s important to point out that this game is a co-development effort between Artisan and Compile Heart. Our design team has a very deep knowledge of the Neptunia universe, its characters and the ongoing storyline with the main Neptunia series. Normally, our writers are not creating character storylines in isolation. We used our knowledge as fans of the game to create stories and dialogue we felt would fit the characters and the universe. After we wrote this dialogue we would normally then submit it to Compile Heart in Japanese for them to review and validate that it was correct and fit with their vision of the characters. MS: One thing that western studios have not traditionally done well is fanservice, and yet the Hyperdimension Neptunia franchise has heavy fanservice elements. How did Artisan Studios approach that side of the franchise? MR: This is a great question. I would say a lot of what makes good fanservice for JRPGs (particularly in the west) is really understanding Japanese culture, animation, and manga. This was one of the core things we felt we brought to the development of RPGs that other studios normally don’t have. Artisan was originally founded in Paris, France (by an all French team with an American CEO). I don’t know how much your readers know about French culture, but France is the number one consumer of Japanese culture outside of Japan (which is why Japan Expo in Paris is a massive event and you see games like Shenmue III produced by a French company in Monaco). Whereas in the US, I grew up with a culture of western comics, television shows and cartoons, French children grew up watching Japanese animation and reading Japanese manga (some of which are translated into French first and then sometimes into English). I think having a team that grew up understanding the jokes, stories and references surrounding otaku culture in Japan is what allows Artisan to create story-driven titles that appeal to both Japanese and western users. This was one of our key goals when we founded the studio. MS: Why make the game 2D? What does the "flat" approach allow you to achieve? MR: Artisan was founded by a team of developers that are passionate about maintaining the visuals of the artists we work with in Japan (and in our studio) to integrate their work into our games. To borrow a quote from our game director, “Artisan wants to create the Lion King, we are not looking to create the next Toy Story”. A lot of our team came from feature film and television animation production in France, so we want to best utilise their experience and techniques to create something lasting. Tsunako-san is an exceptionally talented illustrator and we want to maintain her original artwork in Super Neptunia RPG as opposed to interpreting it which is what you do when you model characters in 3D. Our job is to breathe life into her artwork and that is why we develop our games in 2D. It is the signature of our studio and how we collaborate with exceptional creators. MS: How do you see the game fitting in with the overall Hyperdimension franchise? Is this a "side project" or something you think fans will see as core? MR: Well, I can tell you that of course this game tells its own unique story with some of the characters from the Hyperdimension Neptunia series but it is not a continuation of the core storyline that is developed by Compile Heart. To create this new spin-off title, we worked very closely with Compile Heart to create a new story that would involve Nep and some familiar friends. I am very curious to see how the game is received by the Neptunia fanbase because I believe they will be the final judge of how core the game is viewed in the Neptunia community. MS: How closely has Compile Heart been involved in the project? How have you gone about collaborating with the team (if there has been collaboration)? Mr: The collaboration with Compile Heart has been excellent and we really enjoyed working with them on the co-development of Super Neptunia RPG. They primarily were responsible for creating the game’s scenario and of course Tsunako-san drew the game’s main characters. They also pitched in to try to help us in any way they could as we moved through production on smaller development tasks. 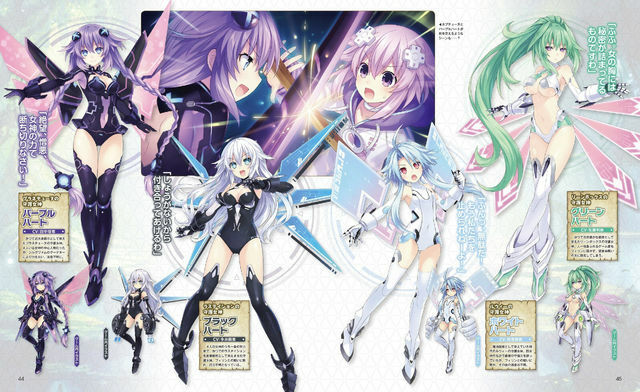 Most of their involvement has been oversight and ensuring the story of the game was true to the Neptunia series. The team at Artisan work with Compile Heart in Japanese which I think is one of the reasons we were able to create this partnership for Super Neptunia RPG. MS: Which is your favourite character from the Hyperdimension franchise, and why (I'll give you a hint: "Blanc" is the correct answer)? MR: <laughs> I am afraid I will have to give the politically neutral answer here and say that Artisan loves all of the Neptunia characters equally. Please don’t ask me to pick a favorite! MS: Is this a one-off or are you hoping to spin it into a regular partnership between yourselves and Compile Heart? MR: I can’t speak for Compile Heart but I would say that Artisan entered into this agreement looking to create a long term partnership with Idea Factory and Compile Heart as we really enjoy creating titles with them. I think the next steps would be seeing how the fans react to the game to decide if it’s something we would do regularly (i.e. 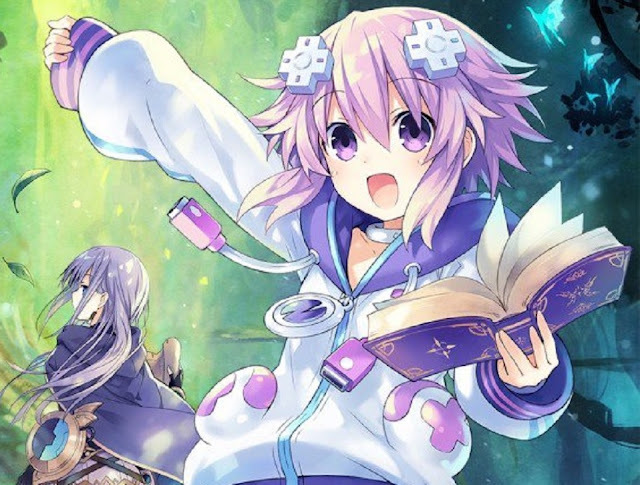 does Super Neptunia RPG become a series in the same way as the ReBirth series for Neptunia) or do we look to collaborate on other games or create totally new IPs. MS: When you're not working on this game, what games are you playing at the moment? MR: Most of the Artisan designers tend to play the latest RPG releases but truthfully the development team plays a lot of different types of games on many platforms. Right now, I am personally playing Octopath Traveler, next up is the new expansion for Xenoblade Chronicles 2 (September), then Dragon Quest XI (September) and then Valkyria Chronicles 4 (October). Our game director is kind enough to keep a calendar he shares on all of the newest releases so that I can properly plan and buy the important games. If it wasn’t for him I’d forget to go to the store and buy them as we are very focused now on shipping Super Neptunia RPG (so we of course are playing builds every day). I'd also just like to say to the fans of Neptunia I want to thank you for allowing us into your world and I hope that you enjoy Super Neptunia RPG as much as we have enjoyed developing it. For us it has been a great honour to create a new title in the series and truly a labor of love for the team at Artisan. For all of the newcomers, if you enjoy Japanese culture (particularly Japanese humour) and if you are a fan of classic JRPG titles I would love to hear your feedback on Super Neptunia RPG. Please drop us a line if you play the game and let us know what you think. Thank you in advance for trying it!